The Chickasaw Nation is headquartered in Ada, Oklahoma with a tribal jurisdiction encompassing 13 counties. The tribe has more than 63,000 citizens.The tribal government is a democratic republic and was modeled after the federal government of the United States. The constitution of the Chickasaw Nation establishes a democratic-republican form of government modeled after the U.S. federal government. Executive authority is vested in the governor and lieutenant governor of the Chickasaw Nation; both serve four-year terms and run on a single slate in elections. 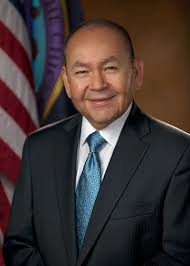 The governor is the official spokesperson, makes recommendations to the legislature, oversees daily operations, and signs official documents and appointments for the Chickasaw Nation. 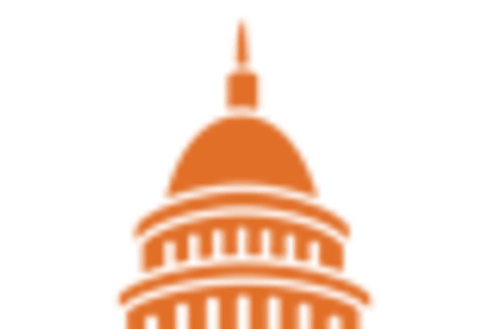 Legislative authority is vested in a tribal legislature, which consists of 13 members representing four legislative districts and serving three-year terms, with approximately one-third of the seats in the body up for election each year. The legislature prescribes laws and procedures relating to elections; acquiring, leasing, dispensing, and managing the property of the Nation; and all other laws and regulations for the Nation. Judicial authority rests with a Supreme Court and a District Court. The Supreme Court consists of three elected judges who serve staggered three-year terms. The District Court is comprised of a district judge and court advocate, both of whom are appointed by the Supreme Court. 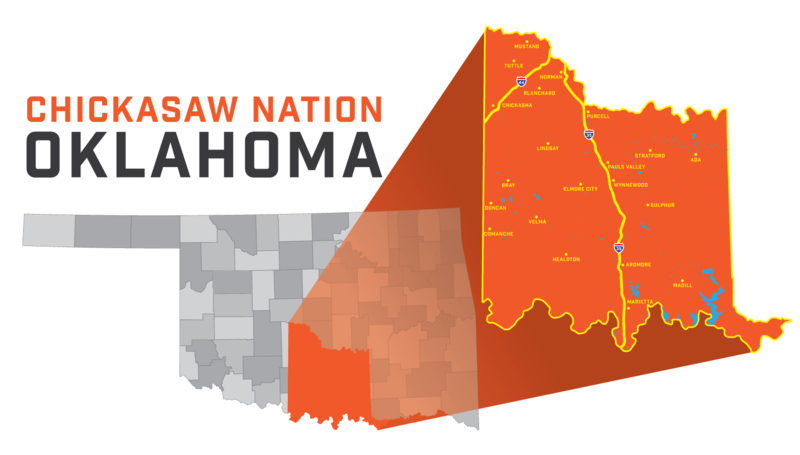 In 2015 the Chickasaw Nation had a $3.18 billion impact on the Oklahoma state economy. The Chickasaw Nation is a major employer within its jurisdiction, with more than 13,000 employees. The Nation operates more than 100 businesses in a variety of sectors, including manufacturing, energy, health care, media, technology, hospitality, retail, and tourism. Chickasaw Nation Industries (CNI) is the primary holding company of the Chickasaw Nation, with over a dozen subsidiaries. CNI’s enterprises are located throughout Oklahoma, as well as Texas and Virginia. CNI subsidiaries offer services in various sectors including aviation, health care, construction, information technology, and energy. WinStar World Casino and Resort is located in Thackerville, Oklahoma, is one of the largest casinos in the United States, with over 500,000 square feet of casino space. The WinStar Casino also includes a three tower hotel, various shopping and dining amenities, and a golf course designed by PGA Tour and Champions Tour professional golfer D.A. Weibring. Bank2 is a full-service bank with approximately $130 million in assets and has provided more than $2 billion in loans to Indian Country since 2002.